Studying the art of makeup in Beirut and Hollywood left a mark on Hala Ajam and gave birth to a rather distinctive style in her work: an inimitable Lebanese-American mélange. 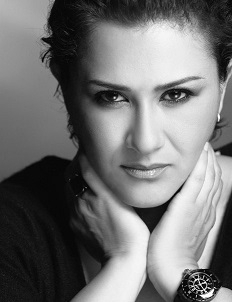 With her specialization in makeup for photography, TV and movies, Hala worked in a fashion photography studio in Los Angeles, California, prior to moving back to Beirut and opening her own makeup studio in Starco, Downtown. A strong believer in the power of natural beauty, and the philosophy that less is more, Ajam wants women to look like the best versions of themselves, without being influenced by something that goes against their real identity. You can buy her debut makeup book, Face to Face, here.